This is what i said to myself when I first arrived here. 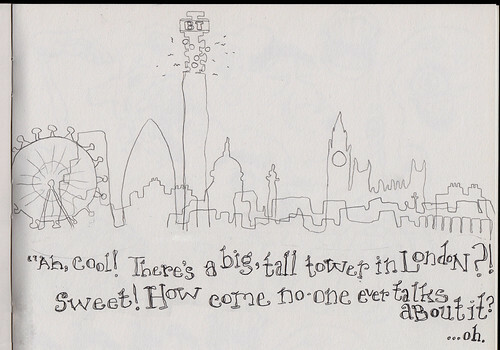 I had never heard of the BT tower and was puzzled by not having heard of a gigantic tower in London the size of Eiffel. It is fantasticly ugly and a huge eyesore of the London skyline that postards go to great lengths to ignore. Like the Pizza Hut across the street from the Pyramids in Egypt.